A simple man, fewer needs, and an accomplished yogi is what describe Himanshu Ji. He is one of the most respected yoga gurus in the yoga city of Rishikesh. His aim has always been to educate the people about yoga sciences and yoga philosophy. He has become an accomplished yogi after acquiring an intense yoga sadhana. He is pursuing Masters in Indian &amp; Western Philosophy. He encourages the yoga students to explore and deepen their practice at their own pace. Since he is the founder of the leading yoga institutes of Rishikesh, he ensures that his classes remain safe, energetic, and dynamic and taught with humor and integrity. 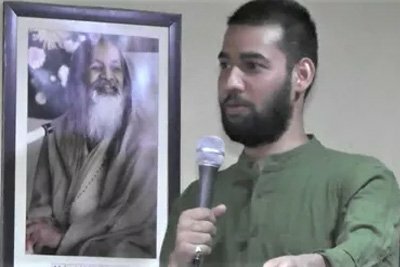 Himanshu Ji teaches yoga philosophy ‘Teachings of Maharishi Patanjali’s yoga sutras &amp; teachings of Bhagavad Gita.’ Besides yoga teaching, he loves to play harmonium & dholak. He also conducts kirtan nights for yoga students so that they will be able to learn about Indian classical &amp; traditional music and its power added with spiritual songs.